The Dhammapada : Translated by F. Max Muller. The e-text was prepared by Tom Weiss. The Teaching of Buddha, The Buddhist Bible: Published in Commemoration of the 2500th Anniversary of the Birth of Sakyamuni Buddha. Translated from the Japanese by Author - Publisher - Dwight Goddard. Available here in four parts. A Simple Guide to Life A comprehensive guide book on the right living according to the tenets of Buddhism by by Robert Bogoda. Record of Fa-hien travels to India and Ceylon - part 1 A narrative account of the experiences of Fahien, the Chinese traveler, in ancient India. Fundamentals of Buddhism Four Lectures Four lectures on the Essence of Buddhism, Kamma & Rebirth, Paticca-Samuppada: Dependent Origination and Mental Culture. A History of Chinese Buddhism This is a comprehensive account of the history of Chinese Buddhism from the earliest times to the 15th Century. 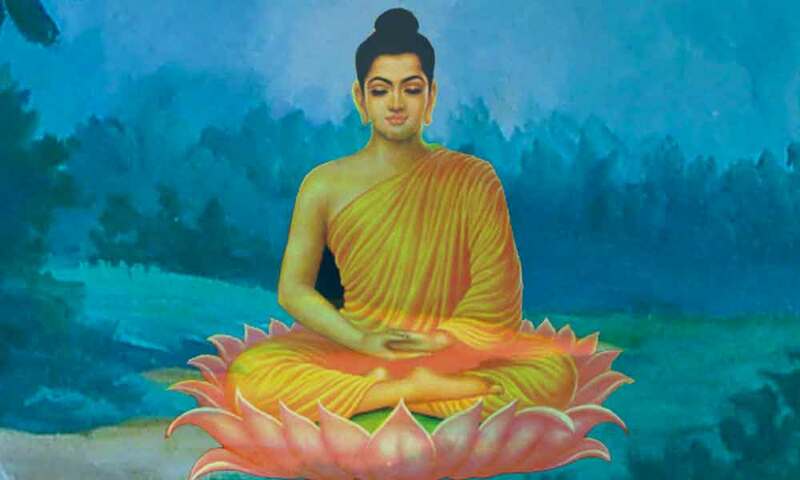 The Mahayana Buddhism Although the record of the Mahayana in literature and art is clear and even brilliant, it is not easy either to trace its rise or connect its development with other events in India. Its annals are an interminable list of names and doctrines, but bring before us few living personalities and hence are dull. A Short History of Buddhism In Myanmar or Burma The history and development of Buddhism in Myanmar from earliest times till 19th Century. Buddhism in a nutshell The story of the Buddha, the philosophy and practice of Buddhism. And brief it is not. A Very Brief Exposition of the Views of the Four Indian Buddhist Schools This paper came from a series of posts made in the Buddhist area of America On-Line between 11/28/95 and 12/4/95. The author made these posts under the name of Jamyang. It was initiated by a request to teach the view of dependent arising in the nine yanas. Amitabha: A story of Buddhist Theology: Translated by Paul Carus . The story of Charaka the famous physician, king Kanishka and Asvaghosha. From the Chinese Zen Masters: Contains the sayings and sermons, "gatha" poems, and other literary works of Chinese Zen masters. From the Manual of Zen Buddhism by Daisetz Teitaro Suzuki, D. Litt. From the Japanese Zen Masters : Contains the teachings of Dai-o (1235-I308), Daito (1282-1336), and Kwanzan (1277-1360), the three outstanding luminaries in the history of the Japanese Rinzai school of Zen. From the Manual of Zen Buddhism by Daisetz Teitaro Suzuki, D. Litt., one of the most popular 20th century writers about Zen Buddhism. Tibetan Buddhism: Miscellaneous articles about Tibetan Buddhism from various sources on the Internet reproduced according to the permissions available.